with no clear path I could see anywhere. that just mentioning it brings back all my terror! So bitter it is that death is hardly worse. Before Sigmund Freud ever founded the psychoanalytic school of psychology, before he ever published his first book on the unconscious, writers and storytellers were trying to understand the psychology of the human mind. How else could they create character development in their stories and poems? 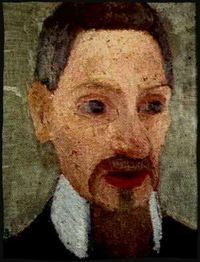 Psychology was an interest of the Czech poet Rainer Maria Rilke (1875-1926). In 1897 he met and fell in love with writer Lou Andreas-Salome, who trained with Freud. After Rilke’s separation from her in 1900, they remained friends for the rest of his life. No one has to tell me what I don’t have. I’ve tried to love others before you. and nowhere to put this impossible tenderness. I’ve always wanted to be an elite athlete. I once wrote profiles and features on women Olympic athletes for a sports magazine. The Canadian mountain-biker Alison Sydor said this to me while we were eating sushi in a restaurant one night in Victoria, B.C. I’ve never forgotten it. She had been told when she first started racing she didn’t have the VO2 max and physical gifts to be a mountain-bike racer. Try another sport.